I have asked myself this question every year since I was diagnosed HIV+ on 1 August 1990; a day that stands out for me like a Kennedy assassination or a Princess Diana car crash moment. My life certainly did change that day as the reality trickled into my brain and the advice from the Dr was to ‘put my house in order’, given that my CD4 count was well below the AIDS diagnosis level. There was an offer of AZT medication which I robustly refused, given that I believed it was killing more people than it was saving. In a haze of thought I remember asking the Dr ‘how long do I have? About 18 months if you are lucky’ , was his frank reply. I was a Mental Health worker (a Yorkshire man in exile, now living in London) so I did have some insight as to how physical and mental health can impact on each other. I also had a family history of ‘black dog moments’ courtesy of my Father who had his own dog. There were times when he would allow only me into his week(s) of self imposed asylum. I would take food into his bedroom and slowly talk him into coming back to the outside world. I became a teenage therapist for a man who had to retreat from the world when his depression took hold. My own mental health screamed for attention at the age of 17 when I developed a taste for recreational drugs, alcohol or any upper/ downer that enabled me to function and deal with my own cyclothymic moods. It was a short, sharp shock when my parents gave me the option of ‘voluntary’ hospital treatment, or they would agree to me being sectioned under the Mental Health Act. I saw the option for what it was. A six week stay in the local psychiatric unit where I could become part of the revolving door system or I could detox and move on. I chose the latter and found another reason for me to join the mental health profession! The professional mental health system which I became part of in 1980s’ Yorkshire was based on the medical model of (liquid cosh) phenothiazines, benzodiazepines, physical restraint, isolation, ECT and a hierarchical system where the Consultant Psychiatrist on each ‘therapy’ unit was a strictly male God. To question any decision made by the patriarchy was deemed subversive and staff or patient could be sanctioned for questioning the medical model. They had never asked me if I had a psychiatric history, so ‘don’t ask, don’t tell’ worked for me and I became a one-time service user working in the system. It was my appreciation of irony that got me through three years of training to become a Psychiatric Nurse. There were as many damaged people running the asylum as there were patients who were deemed unstable but I survived my second time in the system. Following my 1990 diagnosis I became a ‘service user’ of the many alternative therapies that were freely available at the time. I tried and tested more treatments than you could wave a red ribbon at but for me the introduction to acupuncture became a valued therapy that I still use today. Over the years it has detoxed, pain relieved and generally sustained my physical and mental well being. It enabled me to have clarity of mind to deal with the toxic side effects of the combination drug therapy. My mental health has had highs and lows over the years and occasionally my psychological needs were not met with the same integrity as my medical needs. I vividly remember a Dr at my HIV clinic handing me a prescription and saying ‘I am sorry but I can’t make you be happy’, when I had told her that I was feeling very depressed again. It will be 25 years next year since I was diagnosed HIV+ and I have numerous poignant memories of the many people that I have met on this trek. I still think about the black African woman sitting in the hospital pharmacy, removing the drug information leaflets from her medication packs and putting them in the bin. I asked her why she was doing that and she told me that she did not want her family to know what the medicines were for. 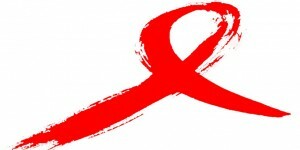 I recall walking out of a bar one night on World Aids Day and the bucket rattler thanking me for my coins and wishing me a ‘happy world aids day’ . Oh, the irony. I hope that one day the red ribbon and World Aids Day will be confined to social history and in the meantime I have promised myself not to be depressed about it any more. Onwards and upwards! I am encouraged that he is here 25 years on from his diagnosis. This gives hope to everyone especially those recently diagnosed. I think my key messages are, 10 years on from my diagnosis in pregnancy, get tested and protect yourself as well as others. Don’t take risks with your health. If you are tested early and can start medication before your immune system is too weak you stand a chance of living a long and healthy life. You can also prevent the spread of this costly disease. Don’t assume it won’t or can’t happen to you. I am white and heterosexual not gay or African. Pandora (name changed to protect identity).